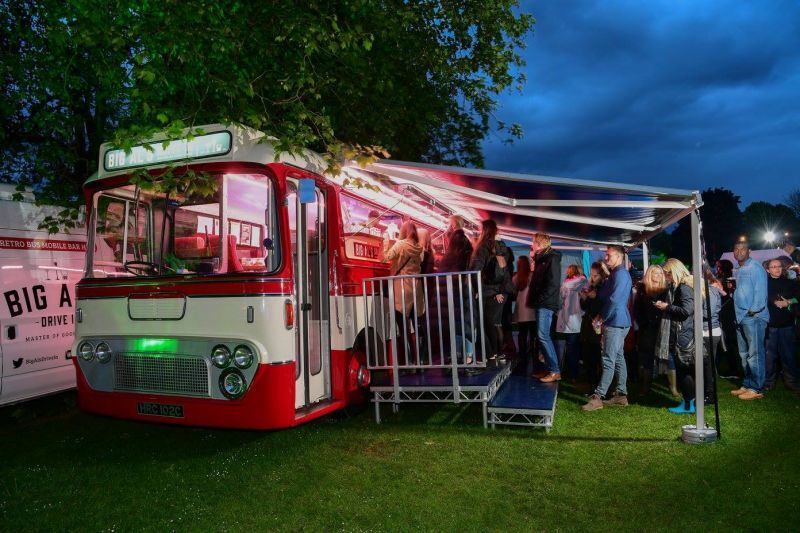 The Cocktail Bus offers premium, bespoke drinks solutions with a unique twist that is guaranteed to make any event extra special. Stand out from the crowd and draw attention with our iconic bus bar, a unique talking point providing a premium drinks service. With 3 window hatches allowing 6-8 bartenders serving at once we are well equipped to cater for any size of event. At The Cocktail Bus we have infused British engineering, exquisite drinks and top class service to provide an impressive spectacle for your event. We normally offer a set menu of cocktails, craft beers, wines & sparkling wines, Champagne, spirits and soft drinks. However our mixologists and sommeliers can arrange a bespoke drinks menu, specific cocktails, or arrange to theme the bar to your taste and your event.